A deck can be the perfect way to add some living space to your home without the cost of an addition. Fortunately, decks tend to add value to your home as well. According to Remodeling Magazine’s 2016 Cost vs. Value Report, decks can add up to 75% return on investment. 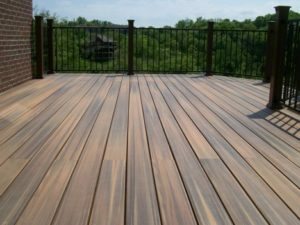 When designing your deck, the first thing to decide is the type of decking you wish to install. Nowadays, there are more options than you can imagine. 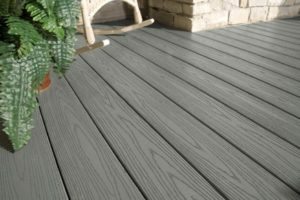 To make things a little easier, we have compiled some information about wood, plastic, composite, and aluminum decking. Wood decking is the most traditionally used of any decking materials. Additionally, wood continues to come in as the cheapest decking option on the market. Although it is the most common, it also requires annual maintenance-which takes up more time and money in the long run. This type of decking is the most weather resistant. Beware that some versions can look cheap and can be slippery. 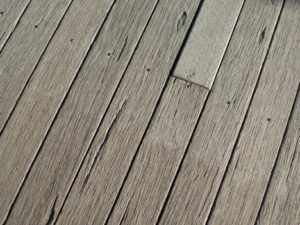 It is best to look at as many options as possible if you choose plastic decking in order to more closely examine the design. If slip resistance is important to you, aluminum decking may be the way to go. In addition, aluminum decking is durable and will often stand the test of time in the right weather. Aluminum decking is also about three times lights than most other decking options. Unfortunately, it will also make the biggest dent in your wallet. Want the look of wood without the upkeep? Composite decking combines wood fiber and plastic to create a traditional wood look. However, this material may be on the slippery side and can stain easily. 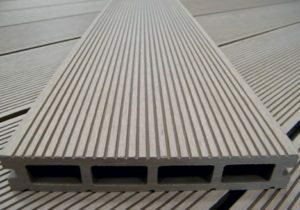 In addition, composite decking tends to be on the pricier side. 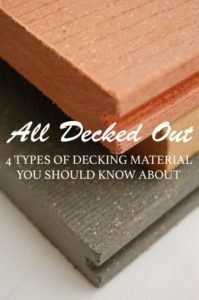 Overall, there are many many decking options to choose from. Ultimately, the biggest factors that influence which type you end up choosing are your budget and time you can devote to upkeeps. Other factors, such as your home’s design should also be taken into consideration. If you have any further questions choosing a decking material that is right for you, feel free to contact us for a free consultation and we would be happy to help you.